YAVNE, Israel - Oct. 5, 2016 - PRLog -- Drulogic Technologies, a leading IT distributor, today announced a partnership with Correlata Solutions Ltd, the Business-IT company, to deliver comprehensive, flexible and scalable data center management solutions to its customers in India. Correlata qualified partners have a direct impact on the success of Correlata solutions and customer satisfaction. By partnering with Correlata, Drulogic joins the company global partners, providing a game-changing solution (Patent-Allowed) that supports legacy Enterprise customers and Data Centers deployments with Quique capabilities that are only available to Correlata customer-based. "Our partnership with Correlata helps companies to meet their efficient service delivery goals and achieve a true IT Business alignment by helping Data Centers to use their infrastructure deployment and investment more effectively, reduce their monthly operations cost for a lower cost and immediate results," said Pankaj Sharma, CEO of Drulogic Technologies. 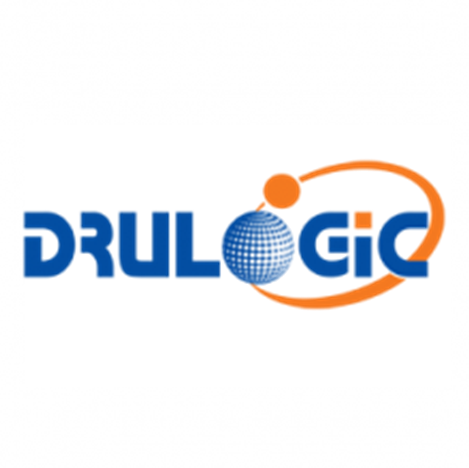 "With Correlata's comprehensive data center software, Drulogic today offers a complete suite of data center solutions complementing its existing solutions from many other global innovators, like Stratoscale, Device 42 and NEC." "Correlata is committed to offering the best solution in the market, helping customers to deal with the new IT performance management and requirements of the digital economy by reinventing the Data Center Infrastructure Management landscape. "Correlata is a visionary company, enabling companies to proactively prevent infrastructure risks, cut operations costs, and improve service delivery efficiency and achieve a true IT Business alignment, and reduce their monthly operations cost for a lower cost and immediate results," said Ofer Laksman, CEO and Co-Founder of Correlata. "We are excited to partner with Drulogic and offer our unique set of capabilities that support market demand and provide an important tool for the management level." Drulogic Technologies Pvt. Ltd. is a privately held Software distribution company headquartered in Mumbai, India, which offers a broad and deep spectrum of IT products and technology solutions though their business partners in India. They aim to source the best technology products and solutions, developed by some very innovative manufacturers from across the globe and bring them to customers and business partners in the Indian market. Drulogic Technologies enhances the value of its position at the intersection of multiple innovative technology vendors, resellers and retail partners by customizing and delivering highly innovative and "in-demand" applications for industry verticals, business-to-business customers and commercial needs. From provisioning solutions for system integrators working at the heart of the distribution network to offerings through the complete lifecycle of IT products & solutions, from Small and Mid-size business solutions to global enterprise software and computing, point of sale to cloud services, Data analytics to surveillance and security — Drulogic Technologies aims to win the trust of its customers to have the expertise and resources to help them define and push the boundaries beyond. For more information, visit www.drulogictech.com. Correlata is a game-changing solution that unifies IT operations to remove the traditional silos, helping companies to meet their efficient service delivery goals and achieve a true IT-business alignment by helping Data Centers to use their infrastructure deployment and investment more effectively, reduce their monthly operations cost for a lower cost and immediate results. Correlata (Patent-Allowed) is the missing part of the puzzle, representing the answer to the pain that all medium to large enterprises face – The inability to extract business indicators from technical metrics. Correlata is the first and the most powerful ecosystem platform; Gaining Control and knowing what actually is happening in your environment reveals powerful Insights for delivering quality of service and cost savings – All from One Single Platform. Correlata ensures you're not just up and running, but highly available, resilient per your design intentions and business objectives. Check out our video on YouTube at https://youtu.be/GeXCoLlbajM. For more information, visit www.correlata.com or join our community on Twitter @Correlata_ and LinkedIn http://bit.ly/1R2MO4b.